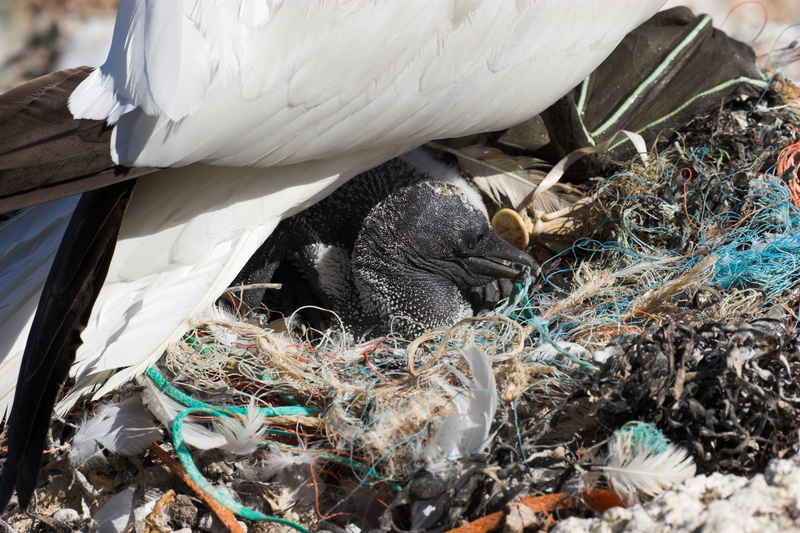 Seabirds are eating ‘astronomical’ amounts of marine debris they mistake for food such as fish eggs or other healthy material. The biggest problem areas are in the Pacific, Australia and New Zealand but local populations are not immune to this threat. Over five trillion pieces of plastic are floating in our oceans says a comprehensive study of plastic pollution around the world published this week in Proceedings of the National Academy of Sciences (PNAS). As many as nine out of 10 of the world’s seabirds are likely to have pieces of plastic in their guts, the new study estimates. An Australian team of scientists who have studied birds and marine debris found that far more seabirds were affected than the previous estimate of 29%. “It’s pretty astronomical,” said study co-author Denise Hardesty, a senior research scientist at Commonwealth Scientific and Industrial Research Organisation (CSIRO). Birds mistook plastic bits for fish eggs so “they think they’re getting a proper meal but they’re really getting a plastic meal”, Hardesty said. 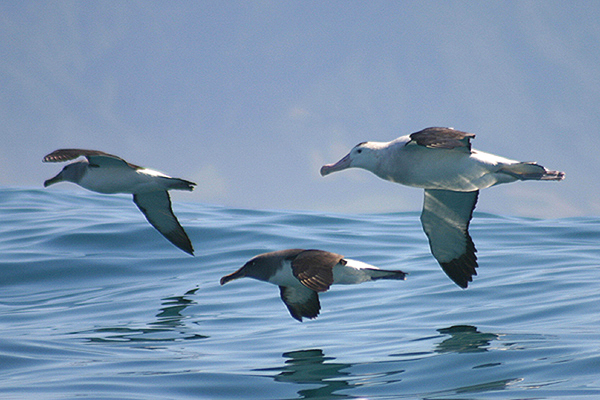 Some species of albatross and shearwaters seem to be the most prone to eating plastic pieces. This video is not for the faint-hearted and includes some distressing scenes. Hardesty combined computer simulations of garbage and the birds, as well as their eating habits, to see where the worst problems are. She found the biggest problem was not where there was the most garbage, such as the infamous patch in the central north Pacific Ocean. Instead it was in areas with the greatest number of different species, especially in the southern hemisphere near Australia and New Zealand. Areas around North America and Europe were better off, she said. By reducing plastic pellets Europe was seeing less of it in one key bird, the northern fulmar (see assessment of fulmars in local waters here). Local gannets show that plastic in the sea is not just collected for food. 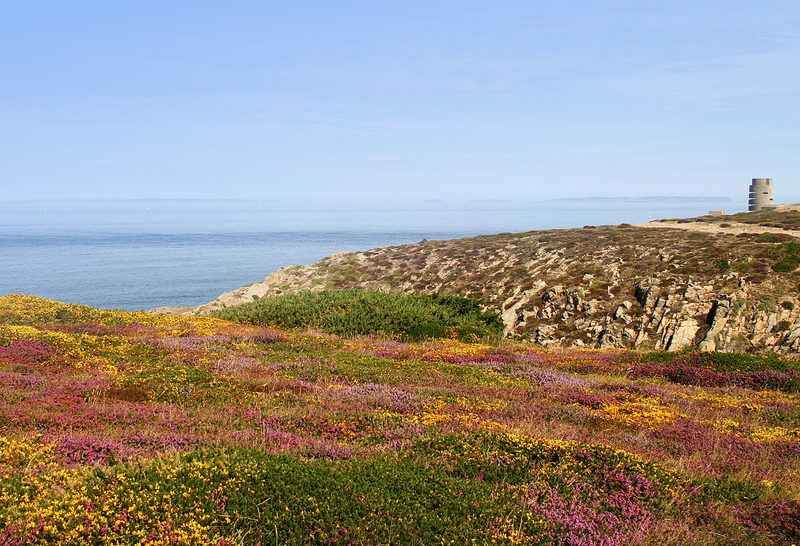 High numbers of the nests on Alderney’s colonies include material such as net strings collected from the sea surface. The gannets must think that its attractive but many young and adult birds die each year, caught at their own nests (see report from Canada here) . We’ve all heard stories of islands of floating rubbish in the middle of the oceans, but it’s the trillions of barely visible microscopic fragments that are set to be the world’s next ecological emergency. Hardesty said she had seen an entire glowstick and three balloons in a single short-tailed shearwater. “I have seen everything from cigarette lighters … to bottle caps to model cars. I’ve found toys,” Hardesty said. And it is only likely to get worse. By 2050, 99% of seabirds will have plastic in them, Hardesty’s computer model forecasts.